Terry was born in Rhinelander on Tuesday, April 23, 1946, the daughter of Irving "Bud" F. and Audrey M. (Bellile) Sandberg. 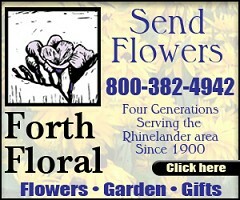 Terry was a 1964 graduate of Rhinelander High School. After completing high school, Terry moved to Waukesha for two years. She then moved to West Virginia and then onto Ft. Meyers, Florida where she lived for three years before moving back to Rhinelander in 1970. She was employed for many years with Volkswagen Oneida as the parts manager. She then was employed at Superior Diesel in parts acquisition. Terry and her brother, Dennis "Sandy" became partners in Oneida Auto Repair which they ran from 1996-2003. 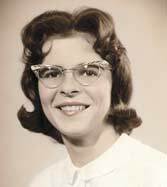 Terry was later employed with Bethesda Lutheran, where she worked on kitchen training and prepared food. Terry enjoyed watching T.V. and shopping. Besides graduating with Terry she & I went to grade school together at Curran and rode bikes together when kids. Although life took us on different paths I will remember the fun we had during those days. My condolences to her family.